CircuitWala is prominent Printed Circuit Board (PCB) manufacturer in Gujarat, India. Our Printed Circuit Board manufacturing unit near to Ahmedabad. We have best capabilities and expertise in delivering the high-quality work efficiently and on time. 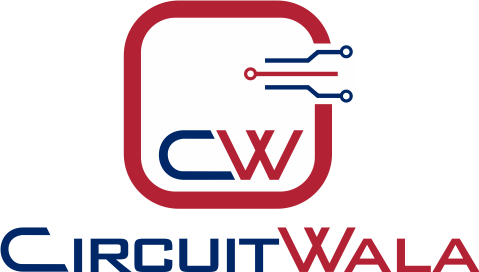 CircuitWala has evolved in the current stint of rapid technological advancement and economic fluctuations. This position is achieved by providing quality products and timely services to our customers. We believe that the real growth of our company lies in the satisfaction of our customers and so we keep working in this regard. We value time, money, and efforts put together by our customers and therefore, we at CircuitWala aim at minimalizing the efforts and maximizing the results. We have an expert team of innovative and technically skilled engineers and designers with 10 years of experience in the Printed Circuit Boards manufacturing industry who actively serve our customers. Our lucrative and highly efficient circuit boards are an eminent brand. We provide complete solutions related to PCB Designing, PCB fabrication, and PCB Assembly. Our range of innovative products also includes Quick Turn PCB (quantity around 100-200), Production PCB (quantity more than 200) and Prototyping PCB (quantity less than 100). We are best in providing all kind of PCBs like Single Layer, Double Layer, Multi-Layer, Metal PCB and Flexible PCB. Our production capacity is capable enough to handle all type orders from Prototype to Bulk orders. As part of our commitment towards customers, we believe in staying connected with our customers throughout the process allowing them to order online and keep track of the manufacturing and distribution process.